Save On My Swimming Pool Cabin! Looking for a Smoky Mountain cabin with pool access while vacationing in the Pigeon Forge area this summer? Cabins USA offers several choice Pigeon Forge cabins with pool access and Smoky Mountain cabins with indoor pool access as well. Cabins USA has over 70 cabin rentals with pool access to choose from. Swimming pool access is seasonal, unless otherwise noted. Pigeon Forge Cabins Pool Access Outdoors – great for guest who love the outdoors and want to work on their tan. Smoky Mountains Cabins With Pool Outdoors – bask in the warmth of the natural Smoky Mountains air. Easy access to downtown Sevierville or Pigeon Forge. Searching for a cabin with private indoor pool, check out Smoky Mountains Cabin Private Pool for a list of our Smoky Mountain in-cabin pool rentals. 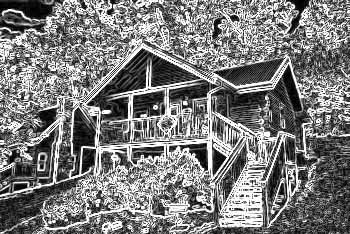 Cabins USA guest, SAVE on your Smoky Mountains cabin with swimming pool access by booking your stay online!